Our clients wanted to blend colors and styles from their many travels into a new look for their townhouse kitchen. The FA Design Build team took into consideration this unique goal to create a custom-designed space. 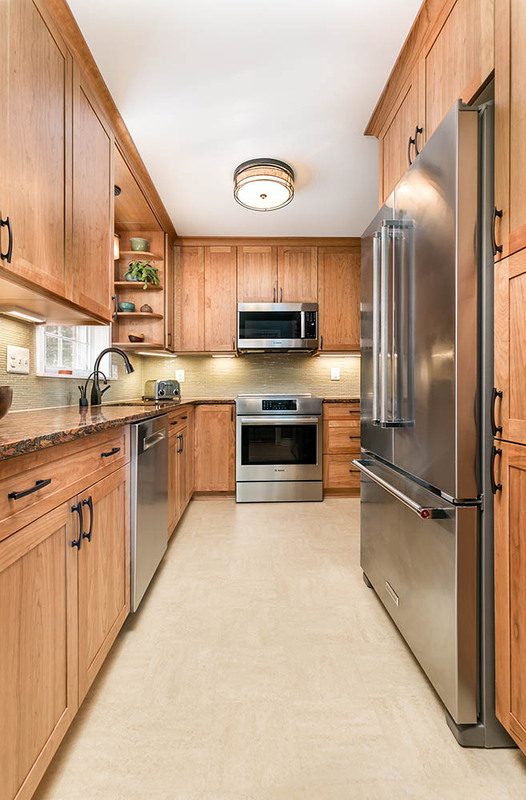 We chose sleek European-style, frame-less cabinets in natural cherry. By eliminating the soffits, we were able to increase the overall height and storage capacity. Oil rubbed bronze was selected for all finishes: pull-down kitchen faucet with coordinating hot-cold water dispenser, ceiling light, and cabinet pulls. For the flooring, we installed Marmoleum tile, in color Butter. This is a “green” alternative that offers durability, unique design, and easy cleaning. 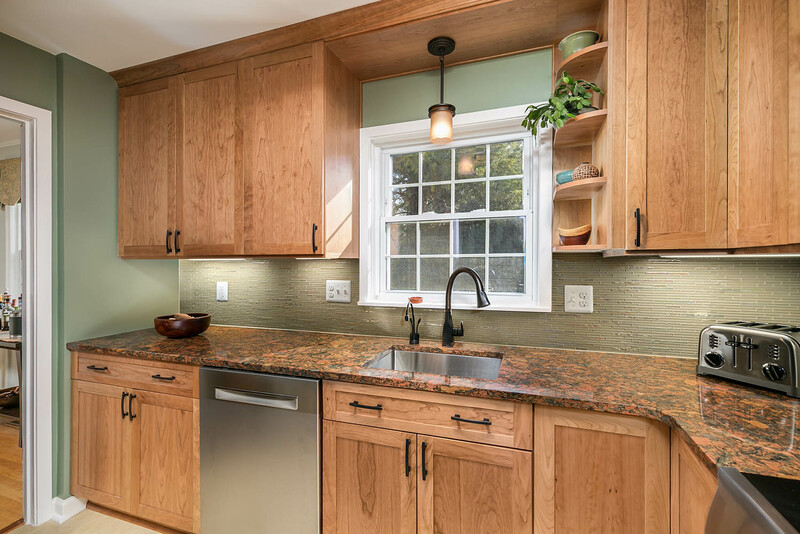 The undercabinet lighting showcases the Cambria Aberdeen quartz countertop, which offers rare beauty and is the centerpiece of the kitchen. The colorfulness of the countertop is balanced with a solid-colored glass tile for the backsplash.